EM Global operates within a conceptual framework that is designed to promote sustainability. In-depth discussions with local physicians who are the catalysts for any project development in regards to the choice for training, its structure, and its overall goal. 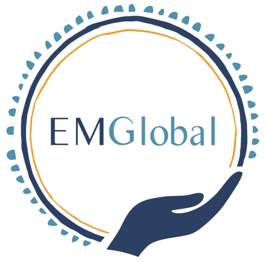 EM Global’s projects are developed in collaboration with the local physicians we seek to empower. At the heart of our perspective is that physicians in Tanzania are among the brightest in the world. What is lacking is equal access to the sorts of hands-on, skills-based training that physicians in developed countries have readily available to them. As collaborators with local physicians, we desire to work hand-in-hand to ensure this divide is bridged. The overall goal is enable the physicians of Tanzania to have access to the opportunities that further develop their capacities to meet the health needs of their own country. Hence, one of our initial initiatives is to support Emergency Medicine training for physicians that are running the emergency departments. Although these physicians have varied levels of training in medicine many of them do not have specific training in acute care. Through fundraising we hope to sponsor local leaders to go through residency programs and achieve this training! For the Point-of-Care Ultrasound (PoCUS) Global initiative, local physician leaders are identified who are willing and able to collaborate as co-teachers in our courses. This ensures that our training has an individual who is able to support sustainability through continued professional development of his or her colleagues year-round. We are fundraising and building partnerships with ultrasound companies to provide hospitals where we teach with the necessary ultrasound equipment to continue to practice the skills after the course has been taught and utilize it as a clinical tool moving forward. Finally, to support continued use and development of PoCUS skills, efforts will be made for ongoing collaboration and communication regarding ultrasound image acquisition and interpretation among the global leaders!